The direct connection between Mankind and the Creator was destroyed upon evil introducing sin, in the Garden of Eden; and Man choosing to fall to temptation. And I believe the Old Testament, was a testament as to how God, the Father of Creation, pleaded with His Most Precious Creations, Man, to use their freewill to choose His Divine Ways of Love. But instead, Man fell to the weakness of their human nature, to which evil shackled to the earth’s ways, which resulted from the first time Mankind decided to fall to temptation, and sin against God. You see evil knows it’s realm, and restrictions. Satan and his demons can not do anything without God’s permission. A perfect illustration of this is through the story of the Prophet Job, in the Old Testament. God knows the extent of our strengths and weaknesses. While God wants to prove that His Faithful are strong enough to CHOOSE His Ways of Divine Love; Evil wants to prove how imperfect and flawed God’s Creation of Mankind is. That God made a mistake in creating Mankind. God is God. He is perfection. He is the “Alpha and the Omega.” He is so pure, that no mark of impurity or Darkness can stand in His Very Presence. Our rebellion is a result of falling to evil’s temptation and control. Satan and his demons rebelled against God; and seeing how much God’s Loves Mankind, He wants Mankind to never know of that Unconditional Love that the Father of Creation has for His Children; so that they too, like him and his demons, will rebel against God, the Father of Creation. Therefore, evil knows that the only way to even have a chance of winning against God, the Father of Creation, was to destroy the spirit and souls of Mankind. However, God had a final victory plan through His Son, Jesus Christ. God knew that Man was restricted a lot by what they view as earthly evidence, He brought His Son to be born onto this earth, in order to live and die, to save Mankind. 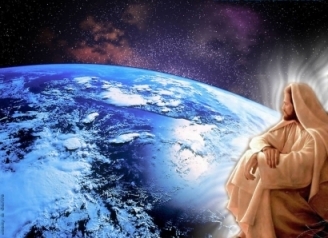 Jesus Christ, as His Son, became the Living Example, as to what God expected of His Children (Mankind); and to teach us, what God the Father of Creation, defines as His Ways in order to enter His Eternal Paradise of Heaven. As to how we ourselves, can conquer evil and its temptations, in our daily lives. Jesus Christ gave us the tool necessary to conquer evil for ourselves, and to gain Eternal Life. With the Guidance of the Holy Spirit. The Comforter, that He left for us, on the Day of Pentecost. Jesus Christ’s Death on the Cross, reestablished the connection of Mankind with God. And this could only be established by Divinity, which is clearly demonstrated strictly by means of Unconditional Love, Nonviolence, and Mercy. However, in His Teachings, Jesus Christ made it very clear, that in order to conquer the trials within our earthly lives, we must grow spiritual strong. God says His Ways are not of the world’s ways, but beyond them. This is why His Son, Jesus Christ, had to come down, to show Mankind, how to prevent evil from destroying the Human Spirit and Soul. Jesus Christ showed us through His Own Death on the Cross, that God, truly meant, that death to the earthly body is nothing in comparison to a spiritual death, that is forever separated from God, the Father of Creation. His Torture showed us the Strength of God’s Unconditional Love for us, as God’s Children, Mankind. That Jesus Christ took on the punishment that was meant for us, as His Own. That Sacrifice, which is devoid of the self, in every way. Jesus Christ did not discriminate dying for Mankind for only those who believed in Him while He Lived on the earth; but also for all those that ridiculed and persecuted Him, those that did not know Him, and even those that killed Him. Jesus Christ, as God’s Son, demonstrated that He gives ALL of Mankind the opportunity of knowing God’s Unconditional Love for him/her. For those that lived in His Time, for all those of God’s Children that lived before, and beyond His Time. The only thing is that we have to CHOOSE to seek it, faithfully, to the fullest extent. We can not live for the ways of this world; and say we love God. We “can not serve 2 masters”. The Spiritual Battle that we all endure, as Mankind, is something that has happened since the beginning of time on this earth. God knows it is not an easy battle. He witnesses our struggles, and our choices out of these struggles. And He often cries, out of the choices we make. You see, God wants us to choose to see His Unconditional Love. But He can not force us to make this decision. The gift of freewill, gives us the choice. 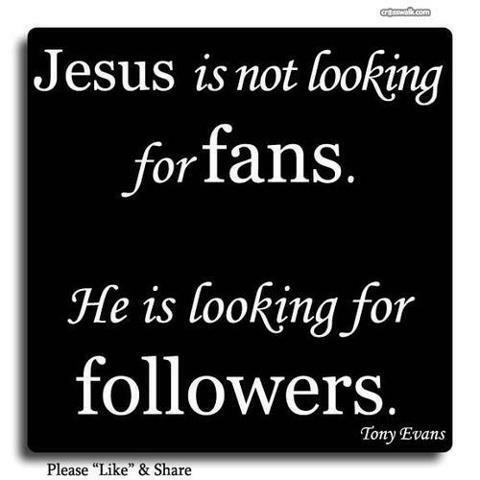 He wants true believers to enter His Eternal Kingdom. Though He knew few will be successful in their battles, He loved all of Mankind so much, as to sacrifice His Son, to save them, to reunite with them, in His Eternal Kingdom. That is how much God, the Father Creation loves us, as His Most Prized Creations. That is how strong His Love for us…for all of us that CHOOSE His Divine Ways of Love, over the rebellion that evil wants Man to fall to. God saw those of His Children that are faithful, as worthy to fight for; and even sacrifice His Son to save. He wished more would follow Jesus Christ’s Way, so that more can be reunited with Him, in the Eternal Paradise, He has promised. This is why He gives us till the last breath in our human bodies, to make things right with Him. His Mercies are that abundant, and endless for us, as Man. He gives us every chance and opportunity to see His Unconditional Love. This is exactly what Jesus Christ demonstrated at the Cross. While He hung alongside 2 criminals, He promised, by the faith of one, to bring Him into Paradise, with Him. Can you imagine such love, God has for us? God knows all of our struggles, but He asks us to choose, despite what we face on this earth. Our bodies are only temporary vessels. We spend so much time perfecting the outer vessel, and so little time in perfecting the soul inside. We make excuses for the imperfections that we have, that have the potential of permanently staining and destroying our spirit. Yes, through the Death of Jesus Christ our sins are forgiven. But it doesn’t mean our battle ended there, upon accepting this fact or not. It means that Jesus Christ, conquered the enemy through His Death, permanently. And with His Resurrection, He showed us He was God, and told us through His Teachings that He will return again, in God’s Perfect Time to reestablish His Eternal Paradise. Only He can do this. But it is up to us to choose, until God’s decides it is time to reestablish His Eternal Kingdom, through His Son Jesus Christ; as to how we prepare the spirit, that God, the Father of Creation, gave us charge over, upon Him creating us, in our mother’s wombs. Because of our sinful human nature, we are born as sinners. So we were still vulnerable to sin. But through Jesus Christ’s Death on the Cross, we still are eligible for Eternal Life, with God, the Father. Jesus Christ gave us the tools to conquer evil. Now it is just the matter of us, repenting for our sins, and refining our faith, and have a pure enough ground within our spirits, to have the Guidance of the Holy Spirit, to lead our paths towards God’s Eternal Kingdom, by the way Jesus Christ showed us. This entry was posted in Thoughts and tagged A call to help fellow man, Armor of God, Battling Evil, Christ, compassion, discernment, Earth, enduring trials, Evil, evil ways are temporary, Faith, Fight over souls (good vs. evil), Garden of Eden, God, God's Love, God's Promise, God's ways are permanent, God's Wrath, Good vs. Evil, Jesus, Jesus and His Crucifixion, Jesus Christ, Listen for God's Call, Love, Path to Truth, Persecution, Refiner's Fire, Satan, Satan's deception, Self Refinement, Spiritual Battles, Spiritual Journey, Spirituality, Steadfast Faith, Take up your Cross, Trials and Tribulations, Unconditional Love on June 16, 2014 by foodforthespiritualsoul. Upon Mankind falling to temptation and sin, in the Garden of Eden, God has been weeping for it. With our freewill, He hoped that we would choose to correct our ways, and find our way back to him. BY CHOICE. Unlike any one of His Creations, God gave Man, the freewill to choose His Ways or not. But yet, we continue to choose to live in rebellion. It is only when we have come to truly understand the Unconditional Love, God, the Father of Creation, has for His Prized Creation, Mankind, this is when we truly recognize how much we have rebelled against Him, with the imperfections we possess in ourselves, in relation to His Divine Laws of Love. God gives us till the last breath in our earthly body, to come to this realization, of ourselves. Since we do not know the time and hour of our last breaths on this earth, it is important that we have this relationship with God, each day. This is what Jesus Christ, as His Son, demonstrated through His Own Earthly Life. By sending His Son, with the Predetermined Purpose of dying on the Cross, in order to become the Sacrificial Lamb, for the sake of salvation for Mankind, God showed us His Unconditional Love for Mankind. And Jesus Christ put His Love for God, ahead of His Own Emotions and Feelings, to fulfill the Father’s Will of His Life, by demonstrating His Unconditional Love for Mankind, by dying on the Cross, at Calvary. Despite knowing our flaws, and our conscious choice of rebelling against God, the Father of Creation, He still loved the sinner; the ones the ridiculed and persecuted Him; the ones that did not know Him….as well as those who did/do know and love Him. All equally. You see, by dying on the Cross, Jesus Christ showed us that we all are eligible in the very presence of the Throne in the Heavenly Realm. We just have to choose to follow a path that does not conform to the ways of this world; to which God says His Divine Laws of Love are not a part of. I just can not fathom such love. 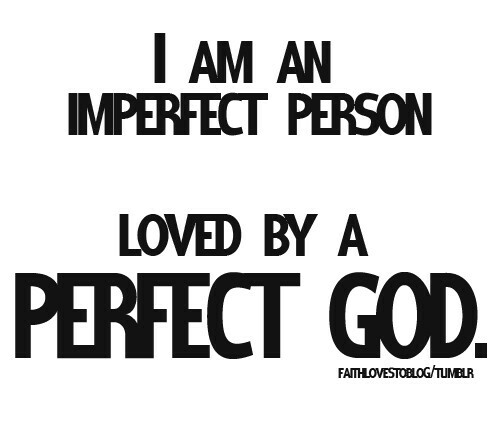 You see, it’s because I know my flaws, and I know God sees and knows even more flaws of my own, to which I can not see. Yet, He gives me the chance to seek and refine them, by doing one simple thing…making the choice in seeking Truth. The Truth in His Unconditional Love; to which He went to the extent of demonstrating it through His Son, dying on the Cross, at Calvary. It is not about gaining earthly evidence for the success of your spiritual journey to the earthly kingdom. Why? Because if God says His Ways are not of the world, but beyond them, then why would He reward us in our progression on this path, based on earthly parameters. I tend to think earthly parameters are the God-given circumstances/provisions to which God has given, as to the resources for which God has granted in one’s life to do His Work, in this world. Those who have become truly enlightened by God’s Laws of Divine Love, will constantly be going through the “Refiner’s Fire”; with a true humbleness of the heart and soul. This humblesness comes from understanding the perfection that God, the Father of Creation is. And knowing the true authority of the Almighty God. Our purpose, in this life that God has given us, is to follow God’s Will of our lives. That’s it plain and simple. And with our sin vulnerable human nature, that is a huge task in itself. Yes, Jesus Christ died, in order to cover up the multitude of sins, to which we, as Mankind, carries. However, it is up to us to recognize our sins, and our flaws, and to refine ourselves, in purity of the heart and soul, with the guidance of the Holy Spirit. THIS is a lifelong process, to which we must pursue. It does not mean that we can continue to sin, once we have chosen to believe that Jesus Christ is our Savior. If the true meaning of God’s Unconditional Love has taken root within us, we would understand our imperfections, and have the confidence that we are forgiven through Jesus Christ’s Death on the Cross, but we have to make the CHOICE of resisting sin and temptation, till the last breath in our human bodies, on this earth. Temptation and sin did not end upon Jesus’s Death on the Cross. This is what many people misunderstand. And this is when PRIDE can slip in to Mankind. We are forgiven by the Cross. But we have to make the choice of turning away from temptation and sin, and recognizing God, the Father of Creation’s Authority, in our lives. These are choices, given to us every day of our lives. Through asking for God’s Guidance in correcting our imperfections, which are brought to light by the power of the Holy Spirit, we will begin to be faithful in our seeking of Truth. God, will have worthy soil within our souls, to plant His Truth of Unconditional Love. We spend so much time on the wrong things, in our lives. We invest in the wrong things in our lives, while we roam this earth. For me, Jesus Christ showed that earthly parameters or His Miracles and Preachings, did not dictate the success of His Ministry or Work for the Heavenly Realm. It was yielding to God’s Will in His Life, that did. Our Purpose is to follow God’s Will; and we have to choose to do that. God, would never enforce that onto you. Because in the end of it all, He wants true believers to enter to Eternal Life, where there is a UTOPIA. This utopia can only be established by Him alone, not by His Creations. A Utopia can only exist under God’s Divine Laws of Love, with those who have surrendered to His Will of their lives. Which is a life that is spirit filled, with faithfulness to His Will, a world filled with Unconditional Love, brought back to the original state He created the world to be, as to what was initially seen in the Garden of Eden, before Adam and Eve fell to Satan’s Temptation, to sin. As a result, it is so important for us to have a God-centered life. We should recognize the power that Jesus Christ has, as the Son of God. And how He showed us through His Teachings, Life, Death, and Resurrection, how we can conquer evil. Once this is done, this is when God can reestablish the Eternal Kingdom. However all this can only be done through those who believe in what Jesus Christ did at the Cross, that is giving in wholeheartedly to God’s Will of His Life, to save all of Mankind. 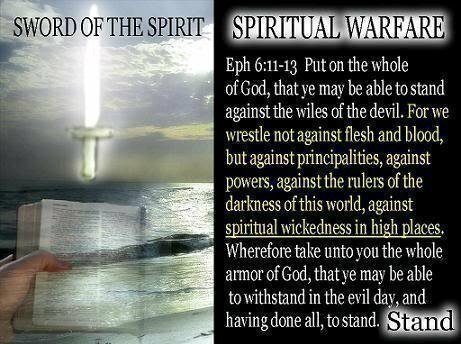 This entry was posted in Thoughts and tagged A call to help fellow man, Armor of God, Battling Evil, Christianity, compassion, discernment, enduring trials, evil ways are temporary, Faith, Fight over souls (good vs. evil), Garden of Eden, God's Love, God's Promise, God's ways are permanent, God's Wrath, Good vs. 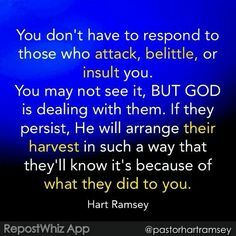 Evil, Jesus and His Crucifixion, Jesus Christ, Listen for God's Call, Love, Path to Truth, Persecution, Refiner's Fire, Satan's deception, Self Refinement, Spiritual Battles, Spiritual Journey, Steadfast Faith, Trials and Tribulations, Unconditional Love on June 6, 2014 by foodforthespiritualsoul. I think what many fail to realize about the importance of the Life, Death, and Resurrection of Jesus Christ, as the Son of God, is a grave mistake. For those that are not Christian, they view Jesus Christ as either a “good man”; or a “Prophet”. For those who are Christian, I see so many that have such a focused tunnel vision, that they either (out of their own comfort) focus on one aspect of His Life, and miss out on the whole picture. And this is how many appear to be narrow minded, to non-Christians, and apply flawed human interpretation to Jesus’ Divine Teachings; instead of praying and being led by the Holy Spirit, in its interpretation. And this can only be achieved through investing the time in the Word of God, and investigating and being able to read the times through His Word. Not just by some conviction, and “good feeling” provided by a service, or preacher. Once you invest this time in the word of God, you will begin to understand WHY Jesus Christ is the Son of God, and begin to identify with His Life Example….and begin to understand His Teachings more….and more importantly, begin to understand how God truly does view the things and ways of this world. God has the heart to provide this for us, this is the very reason why He sent down His Son, to die on the Cross for us. Jesus did not come here to establish a religion. Jesus did not only come to save Christians. Jesus Christ as the Son of God, came to show us, as Mankind (the most prized creation of God), how we are to live our lives, through His Life (from His Life, Death, and Resurrection) AND His Teachings. We are to study BOTH ! We often only focus on one aspect, and miss out in the messages that Jesus Christ showed us through the other. There are numerous Scriptures supporting this. Whole books in the Holy Bible that support this. Yes, Jesus Christ became the Salvation for Mankind, and prevented us from being permanently lost to evil’s darkness. But He also showed us that God truly meant that HIS WAYS ARE NOT OF THE WORLD, through the life He led. And that full obedience of God is required in EVERY ASPECT of our lives. Jesus showed this by leading the humble earthly life He did, though being the Son of God, and being a Member of the Most High Court in the Eternal Kingdom of God. And He showed us that we are to uphold God’s Laws of Divine Love, which He described to us in His Gospels, to the point of death. Because an earthly death is nothing in comparison to a spiritual death. And if we do so, God has promised that if we do go through this very same extent, just as Jesus Christ did, we will gain Eternal Life. This is what Jesus Christ demonstrated through His Resurrection (to which we as Christians, know as Easter). God showed us the PROOF of living a life in full obedience to Him, leading to a path to the Eternal Kingdom with Him. If God says His Ways are not of the World. People may view this view as extreme, because if you live a life in such a way, where will happiness come in? You would always be sad. Well, if GOD IS THE SOURCE OF YOUR HAPPNIESS, you will see Him, in the trials and the hardships. You will find peace and joy in the solitude you find on this earth. Because God’s Presence is always with you. You will not need the things of this world, that are defined in this world, as the things that will provide you “happiness”. In fact the only thing that will give you happiness is doing God’s Will and service, in your life. 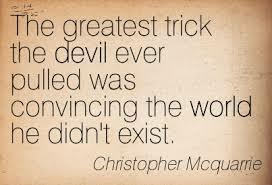 Evil’s uses your instincts to emotion, to soil our souls, and preventing the Holy Spirit in entering within them. When we live in full obedience to God, we have allowed for the Holy Spirit to be running the show of our souls, and our lives. This is what Jesus Christ showed us. But emotions led by a Holy Spirit, has the ability to change hearts towards seeking the Kingdom of God, unceasingly. It will only gain happiness until they have advanced one step further, on the path to the Eternal Kingdom of God. 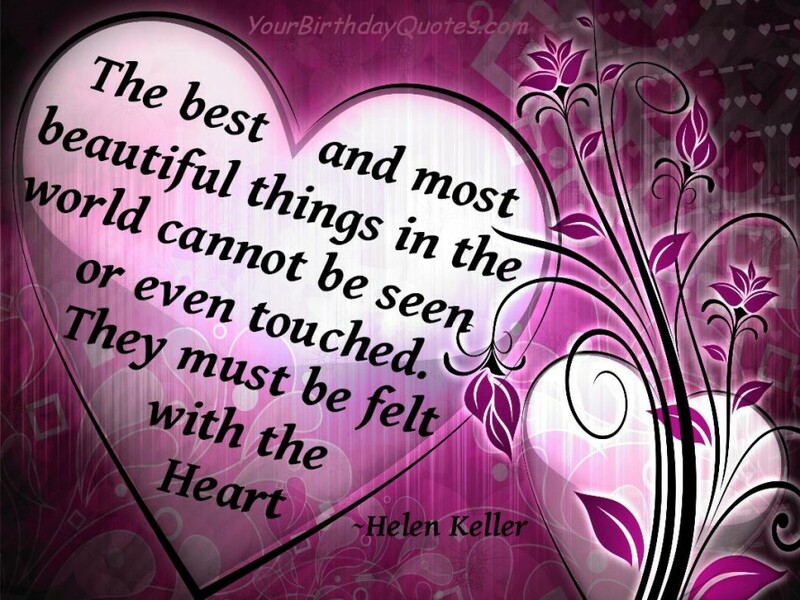 Such a heart, with such emotions, will be able to touch souls, to change permanently in such a manner. I have heard many times of those who have testified of having visions of the Kingdom of Heaven, that God does not judge us on our faith, by how many people we bring to God, but by how many hearts we have genuinely transformed to seek for His Eternal Kingdom. So you see, it is not only the act that matters to the Father of Creation; but seeing the KIND OF SEED you planted in someone. Has it caused a permanent change, that becomes fruitful for the Kingdom of God. And the larger “earthly title” we take on in our ministry, the more God expects of us. He takes is very seriously if you decide to take on His Title, to represent Him. God is not to be mocked in any shape or form. Many may believe that this only applies to nonbelievers, but it also applies to believers, who will be held on a more stricter scale. There are many scriptures that describe this. God wants TRUE believers in His Eternal Kingdom. 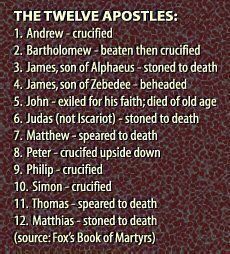 If His Son was not exempt from earthly trials, then who are we to think that we are better than His Son, to be exempt from them. Who are we to think that we are better than Jesus Christ, the Son of God, to live earthly rich lives; when He led a life of complete humbleness out of His Love for God. Who are we to think that we are better than Jesus Christ, that we will not need to endure the Cross, to show God, that we truly understood that HIS WAYS ARE NOT OF THE WORLD’s, but beyond them. You see it takes more than preaching. It takes more than bringing people to a church building for a membership. It is believing to the point that it reflects in words that you speak; that conviction is reflected by people being in the very presence of you. That belief in God’s Divine Laws of Love, that exhumes from you, and speaks to the brokenhearted; those that are lost, and even to those that are not. It is by trusting in what God has professed and promised through His Holy Words, and through the Life Example that Jesus Christ showed us, not only through His Teachings, but also in the life He led, and the path to the Death, He took.It takes a separation from the ways of this world, to even have a space for God to enter within you. It often takes a moment of great grief and injustice, to allow for our sinful human nature to finally realize that the ways of this world have its boundaries, restrictions, and limitations; and to show us how flawed it can be. It is in these moments that we finally unshackle ourselves to the ways of this world, and turn to a Divine Source, for His Perfect Wisdom….and He will speak, and forever change our lives. We will begin to see how He truly values the things of this world, because He will guide you such ways. The Holy Spirit will guide you on this path. The success of our ministries and works for God, will only be known by One, and that is God alone. We should never grow satisfied with what we do for the Eternal Kingdom, because it will never be enough. But it is never in the QUANTITY…..but in the QUALITY of what we do. How is your faith these days? The Holy Spirit will convict you to guide you with the thought, “Don’t be afraid, but to BELIEVE.” For it is by our faith we are healed, and saved. For the devil does not own you. It is God who created you. The devil did not pay a price for you. GOD did, by making His Son, the Lamb to be Sacrificed for the sake of saving you, out of the hands of evil. This entry was posted in Thoughts and tagged A call to help fellow man, Armor of God, Battling Evil, compassion, discernment, enduring trials, Evil, evil ways are temporary, Faith, Fight over souls (good vs. evil), God's Love, God's Promise, God's ways are permanent, Jesus, Jesus and His Crucifixion, Jesus Christ, Justice for "the Just", Listen for God's Call, Love, Path to Truth, Persecution, Refiner's Fire, Satan's deception, Spiritual Battles, Spiritual Journey, Spiritually Fed, Steadfast Faith, Take up your Cross, Trials and Tribulations, Unconditional Love on March 27, 2014 by foodforthespiritualsoul.